This century is seeing more and more of independent and working individuals. And when these individuals with a job and work life become parents, it is the daycare for the baby that becomes a question to ponder for them. 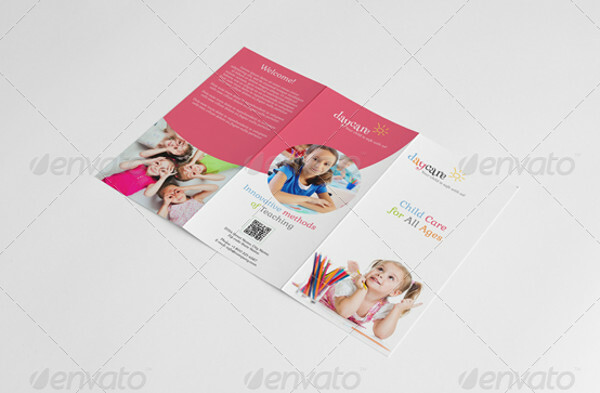 In order to make the day care services known, it is really important that it is advertised properly in an elegant fashion that speaks to this particular set of customers.Check Kindergarten Brochures also. It is very important that these ads speak to the parents so that they can trust the people with their babies for weeks and months while they are out during working days. 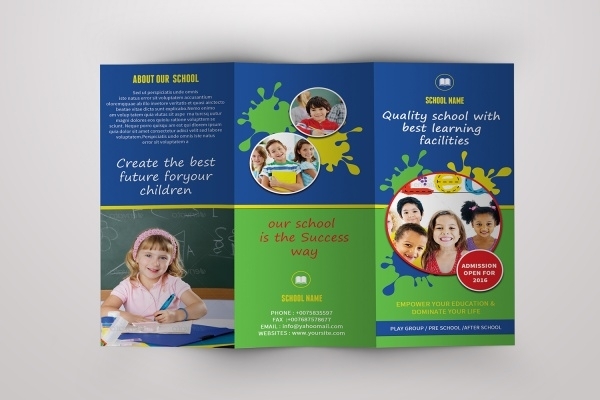 Having said that, here are some of the already available daycare advertising and business brochure templates and mockups that will help you create a professional design for your client.You may also see School Brochures. 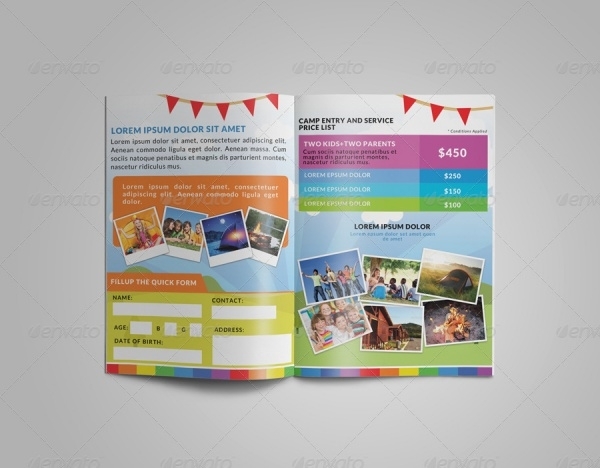 This is not really a brochure template but a sales and licensing brochure design of a cartoon that is famous amongst the kids under the age of10. 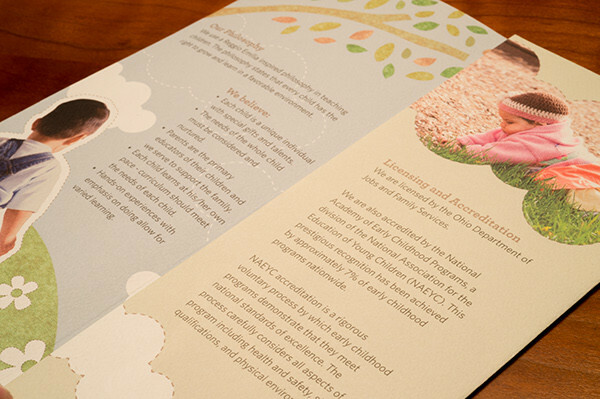 Here is a cute and child-like design for advertising a child care center by Sarah Householder. 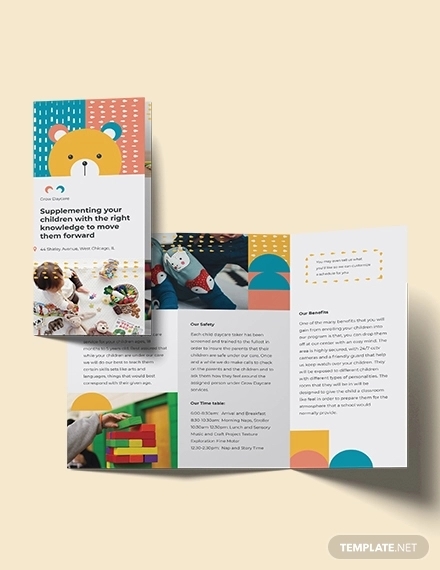 This design includes a bi-fold brochure with the front page covered with an image of a toddler playing with building blocks and the remaining content in a mellow and sober typeface. 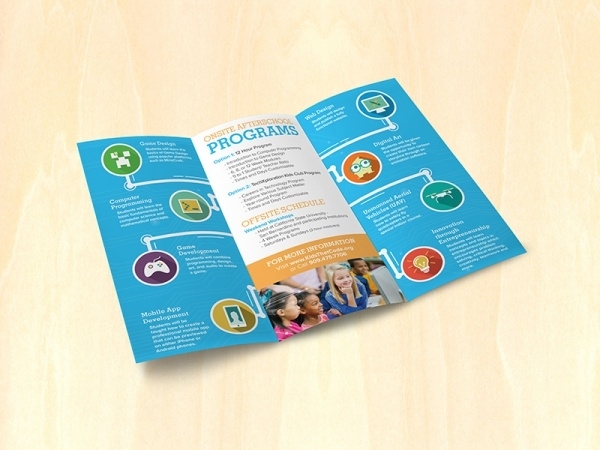 This is a single page childcare leaflet design by Afdzal Ahmad. You can see how including cartoons and titter totted typeface along with other elements and flying kites can appeal so much to the parents looking for a daycare for their children. 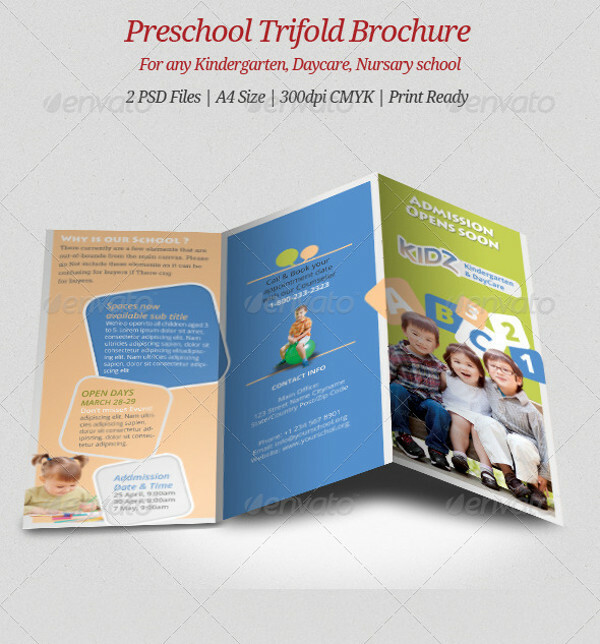 This is a professional looking tri-fold brochure template which you can download and customize in Photoshop. 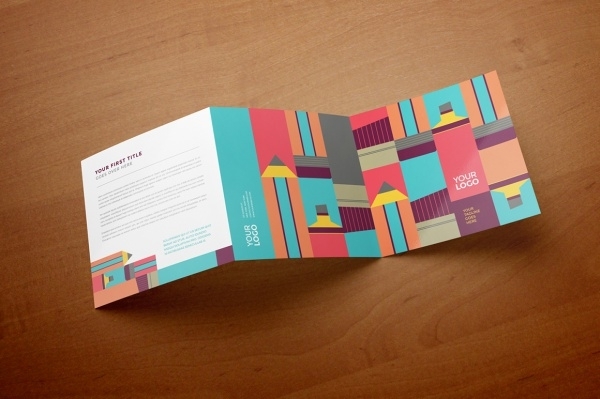 The simple, modern, and clear design is set at A4 size in 300 dpi and CMYK color mode. You can use this design for preschool, daycare, kindergarten, etc. 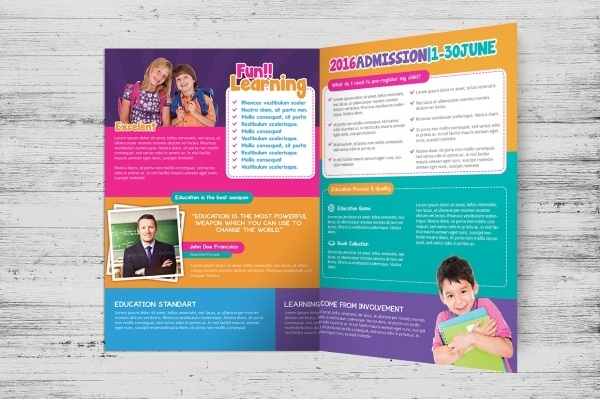 Check out this amazing bi-fold brochure template. The downloadable PSD is a fully layered file and lets you edit and play around with every element. 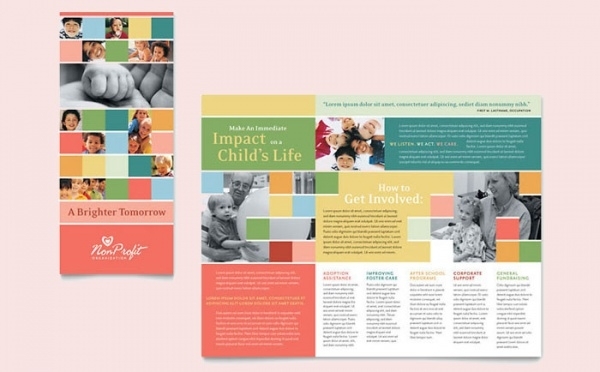 The print-ready design uses various fonts related to the theme of the design, and the information about them is available in the mentioned link. 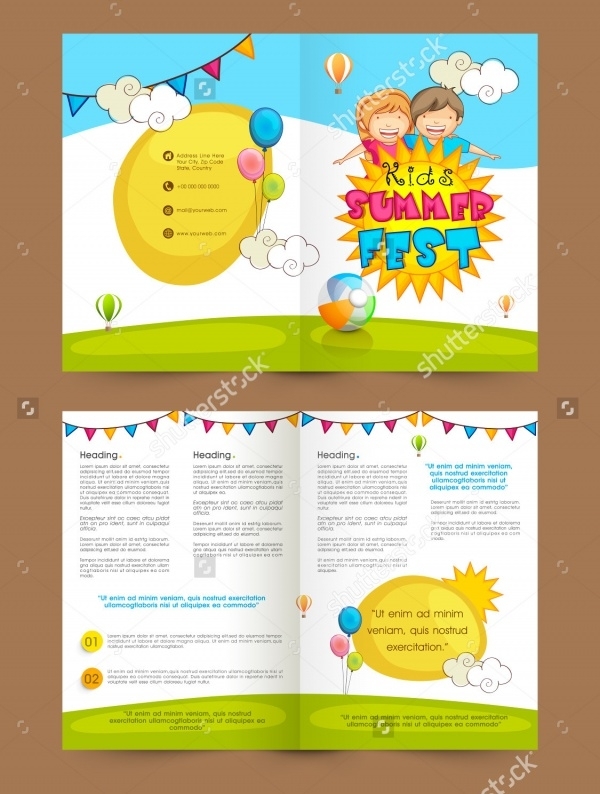 This is an adorable bi-fold A4 Brochures Designs for a summer fest for the kids. 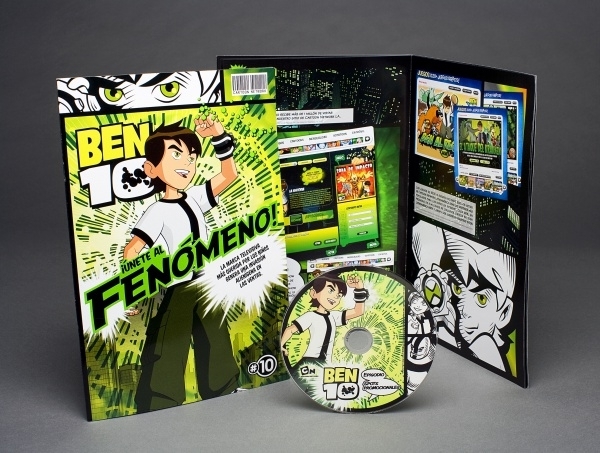 Use of cartoons accentuates the look and appeal of the overall brochure. This vector graphic design can be downloaded from ShutterStock. 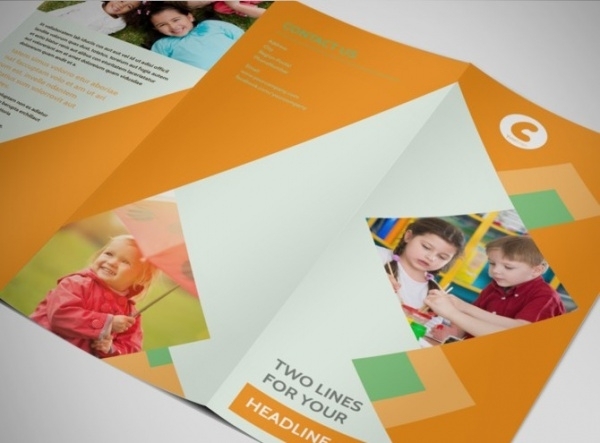 This is a brilliant bi-fold brochure template that can be used for multiple purposes. But here, specifically ,it is for a children’s summer camp. 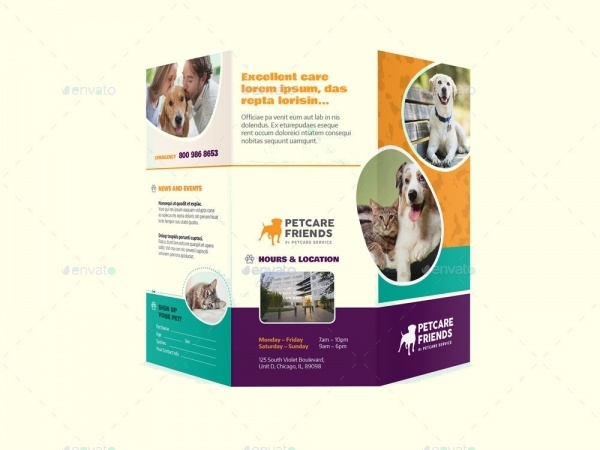 The design is easily editable with the help of organized PSD files in a print ready resolution of 300 dpi. 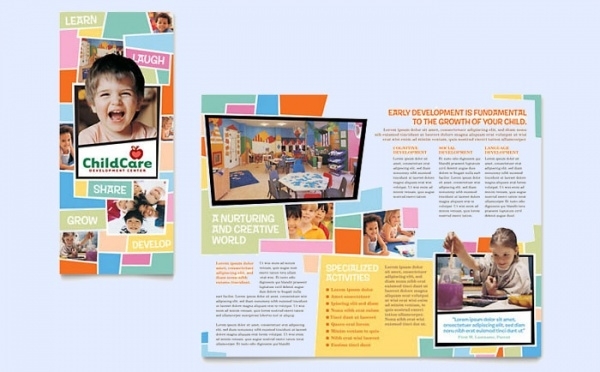 Here are 2 color versions of a tri-fold children school and daycare brochure. The download will not contain the images and you will have to place yours, but information about the fonts used are available in the help file. 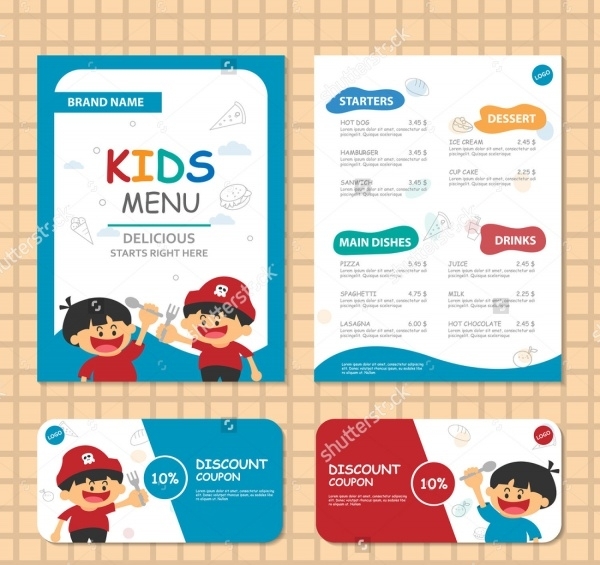 This is a cute and colorful menu brochure for kids. 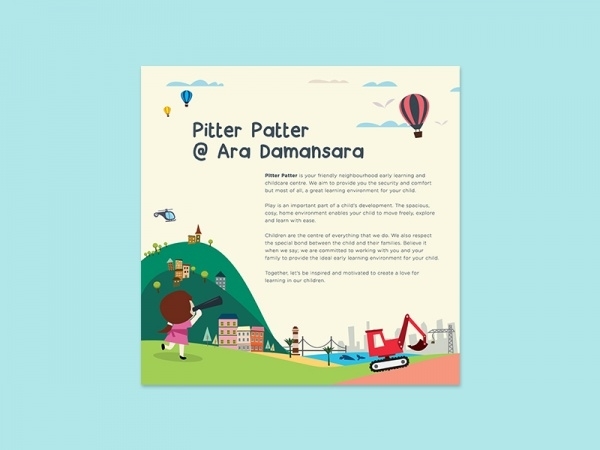 It is a menu brochure, but the design will appeal more to the kids with the cute artworks. It also contains the vector illustration for a discount coupon in two colors which can be isolated and used individually. This is a template for a baby toys store. 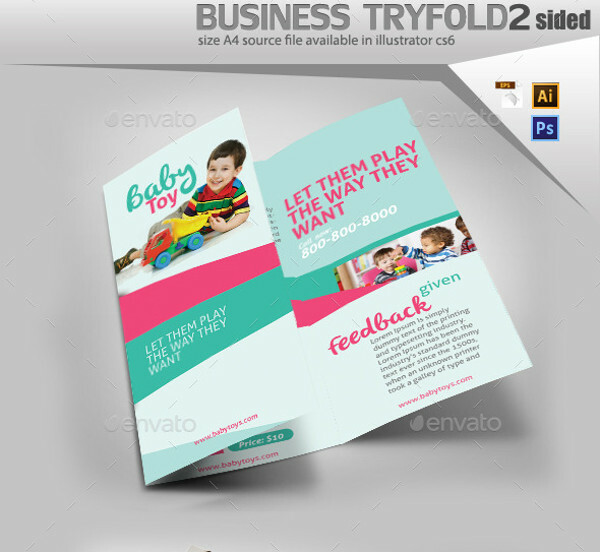 This tri-fold brochure design can be edited via Illustrator and Photoshop, and be used for any baby-related advertisements and promotions. Selecting that one daycare for their kids is one of the most difficult decisions for parents. 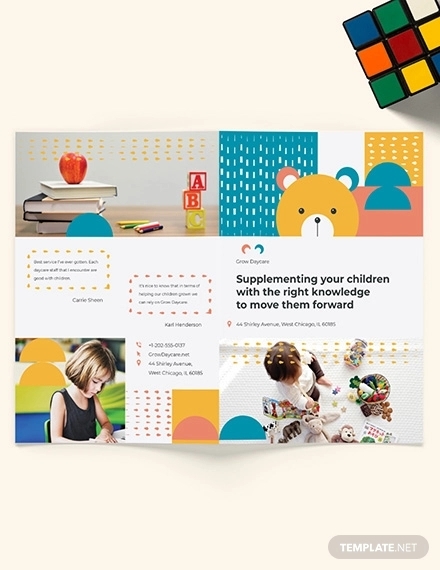 So, it is essential that your daycare center’s advertisement should look good enough, with all the important details, so that the parent shows a special interest. 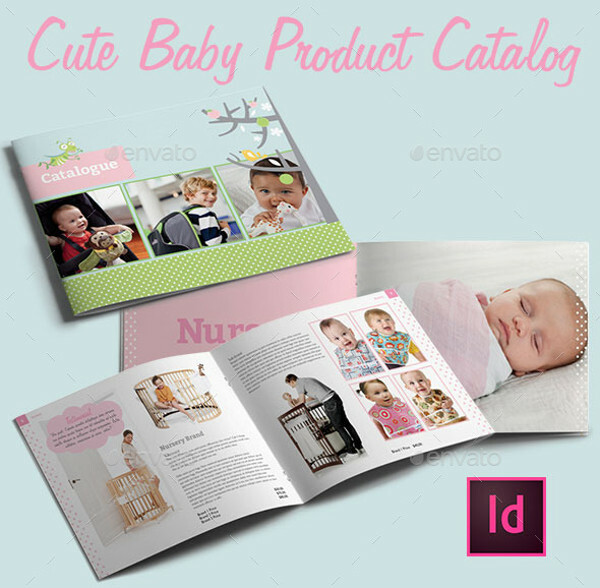 With the help of these editable PSD templates, you can impress your clients by creating the brochure in just minutes.